Tomorrow on Friday 25th March 2011 South Africa will be taking New Zealand in third Quarterfinal of ICC Cricket World Cup 2011 in Mirpur Bangladesh. The Match will start at 2 PM Pakistan time. 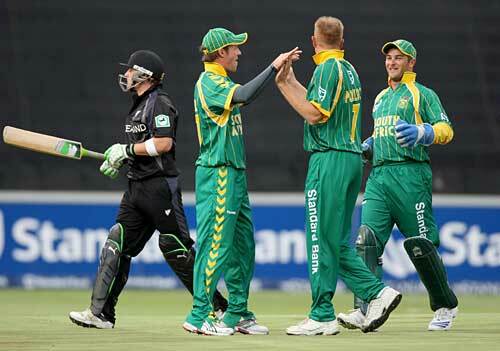 South Africa has Qualified as No. 1 Team of Group A while New Zealand as 4th Team from Group A. South Africa is no doubt Favourite to win this big match. However history tells us that South Africa often goes down in big matches. New Zealand Captain Vettori is also hopeful for a good show of performance tomorrow. The Winner of this Match will reach First Semi Final of World Cup.